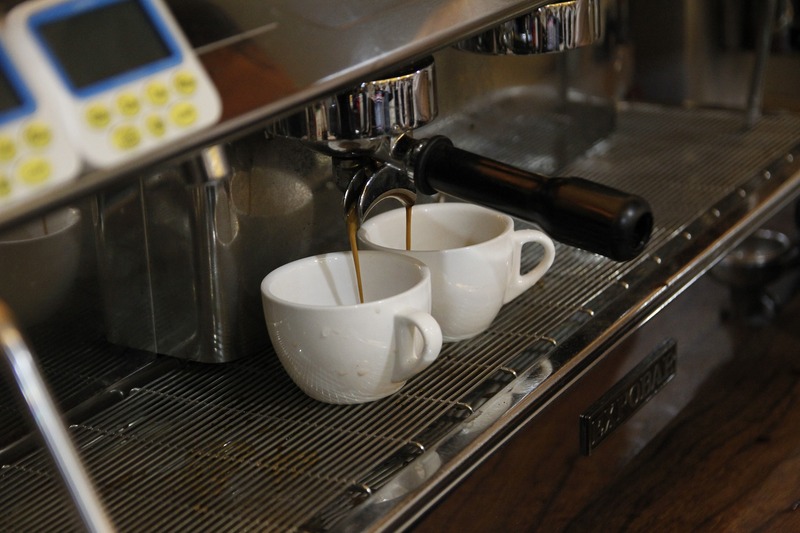 If you’re like the zillions of coffee lovers in the world, you anticipate the aroma of percolating coffee and espresso. You know exactly how you feel when you get that warm ceramic mug in your hands, watching the steam swirl above and dissipate into the morning air. Then there’s the warm ‘n’ fuzzy feeling of your coffee drifting down your gullet as you swallow the first sip. Ahhhhh! But what happens when you think you’ve waiting too long for that coffee to be served? Whether you’re waiting for your home coffeemaker or to hear your name called at the local Starbucks, concern and frustration begin to set in when it takes longer for your coffee to arrive than you expect. Some even give up and walk out if it doesn’t meet their expected timetable. Marketing campaign results are the same: It takes time for them to develop and percolate. Humans are bombarded by so much information daily. You might have your product and service information directly in front of an interested prospect. And yet s/he may not be able to take action yet for weeks or months. Why? Because they’re human! They already have their own timetables in place on what they can or cannot do. How long do you have to wait for results? Much depends upon what medium your are running your campaign in. Social media is generally going to take six months or more of an aggressive effort to see the needle move. Print mediums may take longer. The point I’d like to make is this: Business owners often give up on a marketing campaign just when the campaign is beginning to get results. DON’T GIVE UP! Joan Facebook user may have noticed your LIKE request in her inbox a month or more ago. But she hasn’t been able to turn her attention to any requests for weeks on end. Bob may have seen your display ad in the local paper every month for the last year. And with each impression he’s been noting consciously (and unconsciously) that your business is here to stay with its offering. Only a year down the road is he and many others prepared to take action. If you pull the plug on the campaign, you flush your entire investment on growing your presence in that social media platform or in that magazine down the drain. Do you really want to throw it all away? Have we waited long enough? Did we under budget in order to reach the audience size we need? Did we use the wrong message? Are our customers on another platform? Did you screw up some other way? When did your campaign truly begin? This is an important question because business owners often think in their own minds that the campaign began when s/he signed the contract with the marketing consultant. They had mentally made the decision the campaign was the best marketing tool at that time. And in their heads, the clock began ticking on that date. But guess what? That’s not when the clock began ticking! It may have been weeks and even months before the marketing consultant had all the images, video and other content needed to setup and launch your campaign. If it was overhauling or launching a new website, it can be months before the bots fully crawl through the site and reindex it. Then there’s the time to promote all that material for repeat impressions. When was your campaign truly into full swing? Start the clock from there. If you then have consensus from your marketing consultant and others (including yourself) that the campaign is truly failing, only then pull the plug. Just because you can’t see the roots spreading out in the soil doesn’t mean the needed foundation isn’t being built with followers. You just can’t see it from your perspective. Have patience for the tree to grow on a strong root system. How Long Does it Take to See Content Marketing Results? How Long Should It Take For My Marketing To Work? How Long Do I Have To Wait for Online Marketing Results? This dialogue is heard more often than you think in the marketing world. You spend endless hours crafting a marketing strategy. And before it’s had the opportunity to fully play out and demonstrate its success, the client wants to cancel it before their money is “wasted” any more. Whoa! Do you yank out a wee seedling before it’s had the opportunity to grow to maturity? Do you turn the burner off just because the water isn’t boiling yet? Patience is a skill we have to learn over and over and over again. We are a ‘want it now!’ society. You won’t have to wait forever, like Vladimir and Estragon in “Waiting for Godot.” But you do have to have patience for marketing campaigns to play out the advised length of time to review their success rates. You’ve invested your hard-earned cash in developing a winning marketing strategy. It’s not expected to reap its full results for some time. Yet because the orders aren’t rolling in at top speed, your impatience gets the better of you. You pull the ad. Campaign over. This is a sure fire formula for failure. Listen to your expert consultant’s advice: If the campaign needs four to six months to determine its true success rate, commit to waiting the full period for the verdict. Different marketing tactics require different lengths of time to measure results accurately. Direct Mail – I’ve had many clients tell me they expect fantastic results from a mail drop after three months (assuming one drop per month). But in reality, recipients of that mailing may take at least six months to make their decision to act. In fact, it’s common to hear that it takes at least seven mail drops to measure success on a campaign. Many will tell you a dozen—even up to 50 or more. Radio – At KSVY 91.3FM, advertisers are asked for a minimum commitment of 2 months just to begin to get a response. It simply takes that long to get lodged into listeners’ active memory. Newspapers and magazines – It’s easily six months or more of weekly or monthly advertising before the true measure of success can be taken. And if you pull out prior to the advised minimum period, you’ve truly wasted what you’ve invested to date because the memories you’ve begun to build up in the audience’s mind dissolves quickly, never reaching fulfillment. For greater understanding of why it takes so long for customers to come knocking on your door, read Why Commitment Is Crucial To Successful Marketing (view/download PDF). This story explains the decision-making process from the customer’s point of view. You moved or gone out of business. You don’t need their business. You’re no longer offering what you were advertising. The list goes on, but you get the idea. This is why sticking to that plan is so crucial. Out of sight is out of mind. As a business owner it can be difficult to keep all your plates spinning to ensure your marketing isn’t being neglected. Are you running regular campaigns? Do you ask clients for feedback on a consistent basis? Take the Marketing Core Competencies Scorecard (view/download PDF) to test yourself on how you’re doing. It doesn’t take an outside evaluation for you to discover quickly how well on track you are with a successful marketing plan. You’ll know instinctively from scoring yourself where you need to make changes. Click the Play button to hear the replay of the broadcast. To listen to a specific topic in the broadcast, use the topic guide below to jump to a specific time in the episode and hear more about commitment to the marketing plan, why you must stick with it and how to score yourself at your own marketing. 3:22 What is Commitment to Marketing?